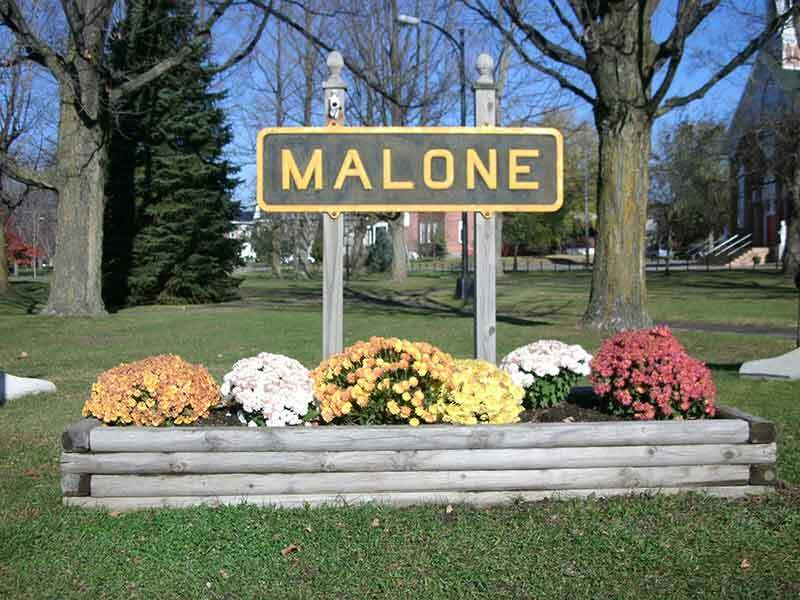 Malone NY is located on the edge of the northern Adirondacks, and is one of northern New York's most historic cities. Its downtown streets are lined with stately Victorian-era homes, churches, and government buildings. Malone is the birthplace of William Almon Wheeler, US Vice President to Rutherford Hayes. Malone has a rich and eclectic choice of activities for visitors! The Franklin County Fair is an old-fashioned family event with a midway, horse shows, bull riding, a demolition derby and an impressive entertainment schedule. Titus Mountain provides skiing, snowboarding, and tubing fun, and visitors can relax and hit the links at the award-winning Malone Golf Club. The nearby Akwesasne Mohawk Casino offers visitors a choice of gaming, entertainment and restaurants. The Almanzo Wilder Farm is the boyhood home of Laura Ingalls Wilder's husband, and the location of "Farmer Boy", the second in her series of Little House books. Visitors to Malone have their choice of many quality motels, inns, and campgrounds, and restaurants in the Adirondacks. Malone is located just south of the Canadian border, between Lake Champlain and the St. Lawrence Seaway. Montreal is less than a 2 hour drive, and Lake George is just under 3 hours away.